This post originally appeared on the Charlotte Mason Institute blog, in response to a lengthy critique of Consider This. As it is no longer available there, but the critique itself can be read elsewhere, I decided to publish my response here. If you haven’t read the critique (which is much longer than my response), you don’t need to read this (which is still pretty long). This post is just a bit of housekeeping. Mr. Middlekauff responded to this critique, but not as he originally suggested, by correcting his errors. Rather, he argued that my concerns with his critique dwelt upon matters he deemed less important than others. My response deals largely with pointing out only a few of the ways in which I was unjustly misrepresented, making the rest of the critique essentially a straw-man argument, as it addressed itself to things I did not say. However, my conclusion here remains steadfast—it does not make a great deal of difference in the implementation of Charlotte Mason’s methods if you understand the classical nature her philosophy or if you do not. 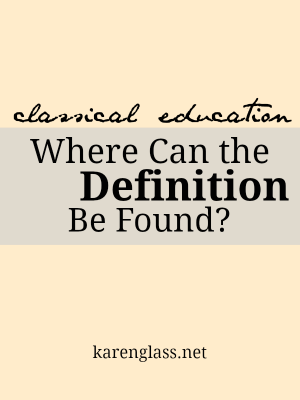 The final determination rests in the definition you choose to use for classical education. Meanwhile, we have learning to do, books to read, children to educate, and a wide, wide world to inspire our wonder. I would prefer that we do that as friends. You really have to think about it. Relations don’t seem all that scientific, really–more organic and, well, relational. But let’s just roll with it, because in Charlotte Mason’s lifetime, “science” was a buzzword, and everything was a science. Housekeeping was a science. Hygiene was a science. There were mental science and moral science. So why not a science of relations? At least it makes you stop and think. Narration: What’s the Point? or, Where Are We Going with This? 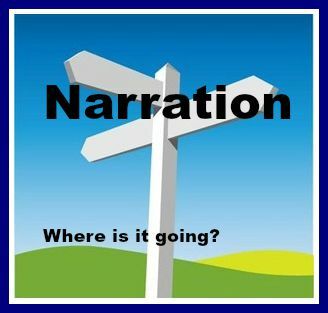 As we continue our series on narration, this month’s focus will be the actual process of narrating. We will peer at narration through a magnifying glass, as it were, and examine some of the nuances of this educational method. 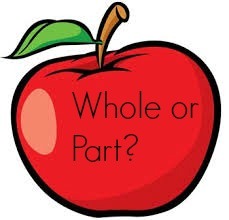 Wholes and Parts—Which is Which? In chapter two of Poetic Knowledge: The Recovery of Education , entitled “The Philosophical Foundations,” Dr. James Taylor traces the historical “Great Conversation” of Plato, Aristotle, Augustine, Aquinas, and others on the validity of poetic knowledge from its known roots to the present. The topic crystallizes in a few key ways. To begin with, poetic knowledge is closely allied with love. Education is concerned with “ordering the affections”—teaching us to know and love that which is beautiful and good. Because love is a movement [of the soul] and every movement is always toward something, when we ask what ought to be loved, we are therefore asking what it is that we ought to be moving toward….It is the thing in regard to which possession and knowing are one and the same. Where Can the Definition Be Found? One of the questions that naturally presents itself when we discuss classical education is the very definition of our topic. What is it? The truth is, there are many ways to define classical education, and a reasonable case can be made for some of them. What happens, then, when conflicting definitions or understandings arise? If I think classical education is one thing, and you think it is something else, how will we reconcile those differences? Why Did She Have to Say That? This article originally appeared in three parts in an email newsletter during 1999 and 2000. I share it here as a single, somewhat lengthy article.